$39.2 - A beautiful new dress just in for spring and summer, this designer style is from Truly Me. 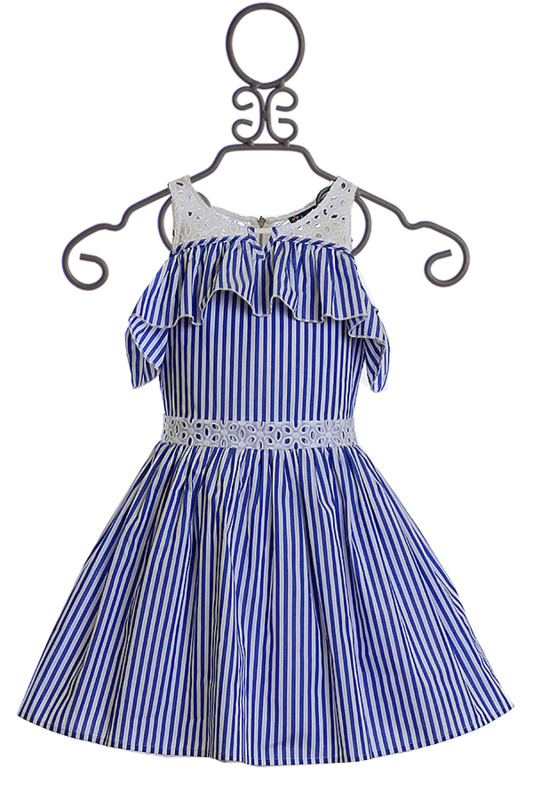 Blue and white stripe on the fabric while a ruffle accent is found on the bodice. Her neckline is decorated with a white eyelet lace. A zipper is placed in back of the dress. Her waist is decorated with the same white trim. We love the idea of this look for a weekend at the lake or even for the Fourth of July!